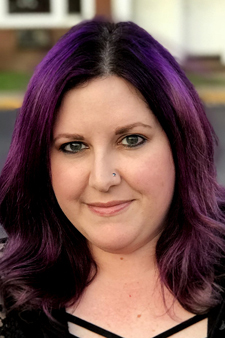 In recent years, I have subscribed to a few YouTube channels of the makeup variety. I have learned quite a bit about the importance of blending and that wearing 3 colors of eyeshadow is almost a minimum requirement. There is a massive trend of beauty spending taking place in this country, with nail polish and makeup exploding in the last few years. New collections have emerged that are huge fan favorites, such as the Naked palettes from Urban Decay and the Pro Palettes from LORAC. Sigh – look at how great this palette is! I immediately went to the LORAC site and signed up to receive emails so I would be reminded when this would be on sale. Then it came out and things went downhill. 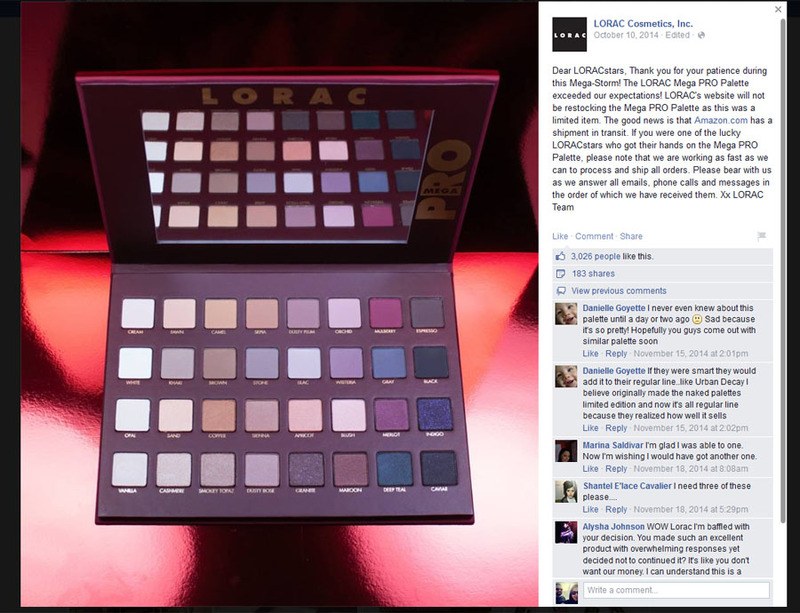 After having had success and an obvious increase in the brand’s following, LORAC clearly did not produce enough of the Mega Pro Palettes. They sold out before I had a chance to get one, and the stock they had released to Amazon was gone as well. I understand the concept of a limited edition product, but I seemed to see an inordinate amount of really angry customers like myself, who had greatly looked forward to this palette’s release and fully intended to pay the $59 to have a great collection of shadows. A few days later, after what I assume was a barrage of emails, tweets, and Facebook posts about how people were disappointed, LORAC confirmed that it was sold out and they were not making more. You can see a sampling of the comments on the right there, with some customers being more cordial than others. I understand that the pricing was certainly meant to be for a limited time (a Pro Palette about half the size of this is $42, while this was $59, obviously a value price), but this could have been what I like to call a gateway product. For all of the people who had contemplated buying a LORAC palette but had not, this great value could have convinced them to purchase, and in my opinion, it would have made them a LORAC fan. 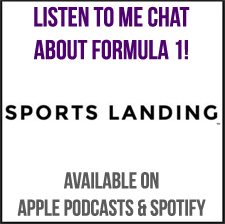 In addition, I’m sure some people were viewing this as an opportunity to buy a great holiday gift, another chance to increase exposure of the brand. Based on the insane response and purchase rate of the palette on October 7th, I would have immediately opened a pre-order window for the next batch of the palette. Again, limited edition status could have been kept, but would it have been so hard to make another batch? It would have been a great moment of relief and excitement for everyone who missed the first batch. 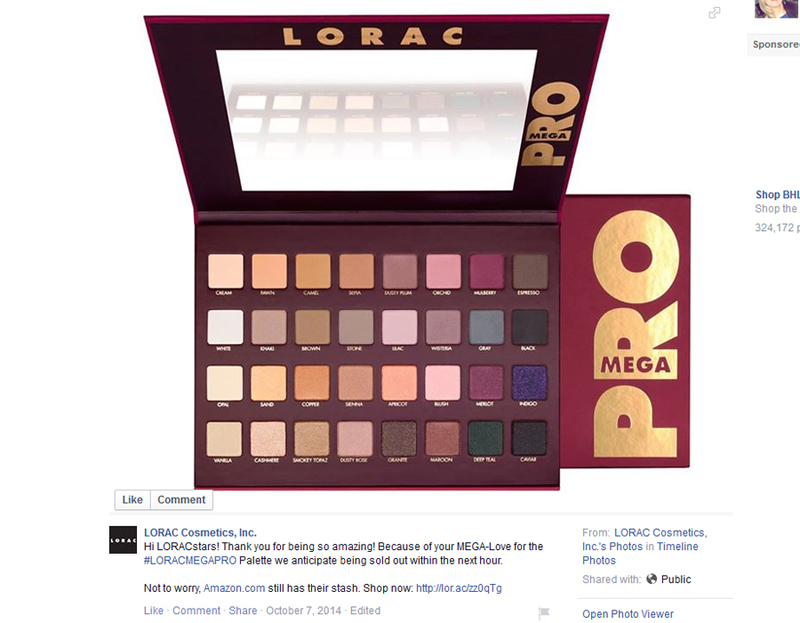 “We are taking pre-orders for the final batch of LORAC Mega Pro Palettes until 11:59pm PST on x/x/14. This will be the last batch of this palette, it will not be available again.” Something to address the large amount of people interested in the product! The decision to just say “tough luck” to everyone who wanted one is ridiculous. LORAC has not introduced any more large palettes since the failed launch of the Mega Pro. (Well, I see it as failed. I’m sure they are happy to have sold it out.) The regular Pro Palettes are permanent to the collection, so they are a different story. 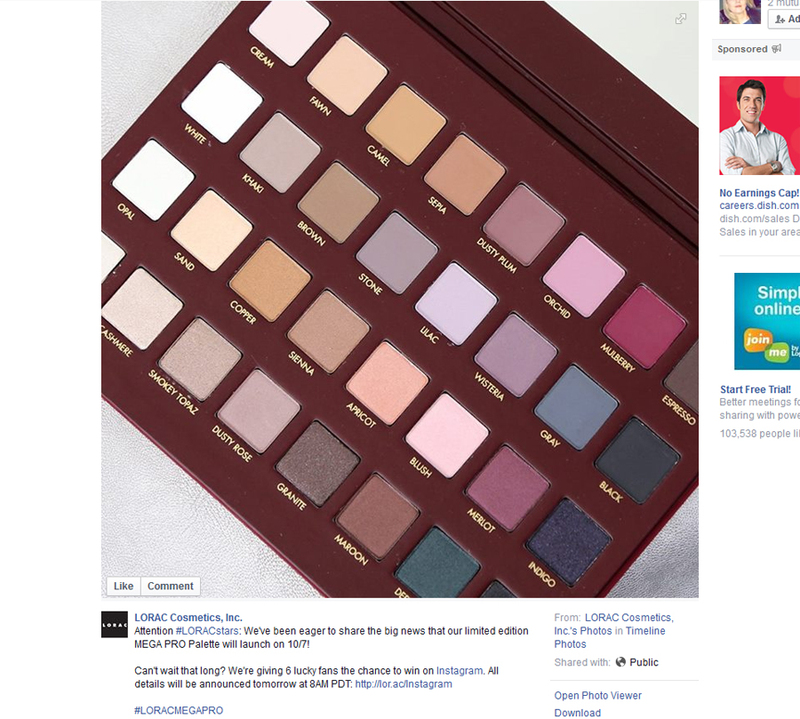 I will be interested to see how LORAC handles future launches of limited-edition product. Hopefully they have learned from this missed opportunity to create customer joy instead of frustration.